When the underexpanded supersonic jet impinges on the obstacle, it is well known that the self-induced flow oscillation occurs. This oscillation depends on the pressure ratio in the flowfield, the position of an obstacle and is related with the noise problems of aeronautical and other industrial engineering. The characteristic and the mechanism of self-induced flow oscillation, have to be clarified to control various noise problems. But, it seems that the characteristics of the oscillated flowfield and the mechanism of an oscillation have to be more cleared to control the oscillation. 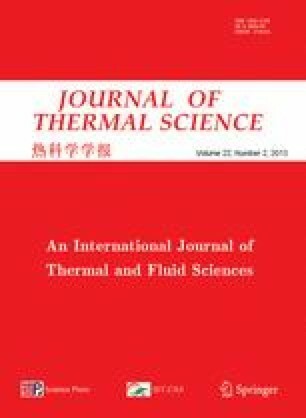 This paper aims to clarify the effect of the pressure ratio and the obstacle position and the mechanism of self-induced flow oscillation by numerical analysis and experiment, when the underexpanded supersonic jet impinges on the cylindrical body. From the result of this study, it is clear that occurrence of the self-induced flow oscillation depends on the pressure balance in the flowfield.